If at Christmas time, a Christian is going into profound debt in order to acquire things they don't need (and which will all burn up in the end anyway), or is being gluttonous with food, or is training their children in the love of the world and things of the world, that would be sinful. But not all Christians who celebrate Christmas do so in that way. 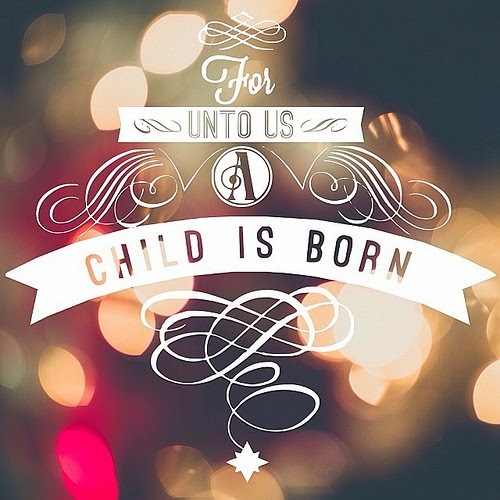 There are plenty of Christians who are in awe that God was made flesh, and who celebrate Christmas with great joy, giving God and our Savior glory all along the way, thanking and praising our Lord for the blessings of special gatherings and delicious food and Christmas carols and the beauty of decorated trees and sparkly lights. As believers, we are commanded to pray for wisdom, and we are expected to exercise God-given wisdom and make judgments on all manner of things, including the celebration (or not) of festivals and special days (Rom 14:5, Col 2:16). Let us not look with disdain upon one another, regardless of what choice we make in this area. Here's what that looks like: the one who celebrates the Lord's birth should not look with disdain or judgment on those who don't, but neither should the one who chooses not to celebrate Christmas look with disdain or superiority on the one who does. Peace. Ralph Woodrow’s book, The Babylon Connection? Why Christmas on Dec. 25? Christmas Is Not Pagan, Part 2, Answering the Argument: "Christmas is obviously pagan because there is neither Biblical command nor precedent for celebrating Christ's birth." Christmas Is Not Pagan, Part 3, Answering the Argument: "The first Christians never observed the celebration of Christ's birth until emperor Constantine in 313 AD officially tolerated Christians." Christmas Is Not Pagan, Part 4, Answering the Argument: "The date of Christmas (December 25), and its many customs all come from pagan sources. Therefore Christmas is pagan."